A member of the Senior Management Team, Linda has a passion for the airport industry and a trait that is invaluable: she is a listener. Applying that skill to her passion sets her work apart. Not only does she have in-depth knowledge of the airport industry, but her thoughtful, attentive approach to each project explores the client’s strengths, goals and vision. Linda’s airport education and experience working at the senior level of airport management makes her a perfect match for the ADK Senior Management Team. Linda brings experience and talent in working with strategic planning/management, airport operations, organizational development, performance management and measurement, implementation of balanced scorecard, staff effectiveness and efficiency, project management, staff and board retreats. Prior to ADK, Linda was with the Columbus Regional Airport Authority for 21 years. She began working in Columbus as the Safety Manager in Airport Operations and worked her way up through numerous positions to become the Vice-President of Strategy Management. She has prior airport experience at Memphis International Airport and Sarasota-Bradenton Airport. 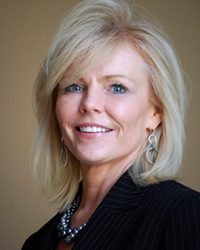 Linda has a Bachelor of Science degree from Embry-Riddle Aeronautical University and received her designation as an Accredited Airport Executive (A.A.E.) in 1993. She has actively participated in industry leadership positions and was on the National Board of Directors for American Association of Airport Executives (AAAE) for six years as well as serving as a Regional Examiner for the industry association’s accreditation program. Linda also served the Great Lakes Chapter of AAAE in various leadership positions including President of the Chapter. While at Columbus Regional Airport Authority, Linda participated in the research and creation of TRB’s Airport Cooperative Research Program (ACRP) Report 75, Airport Leadership Development Program and has participated in two other ACRP projects. Linda is a speaker and panel facilitator on such topics as Leadership, Human Capital Strategies, Recruitment and Retention, and Succession Planning. Linda grew up in Memphis, TN and enjoys travel and golf. She has 2 sons who live in Columbus, OH and her husband is the Executive Director at Lexington Bluegrass Airport in Lexington, KY where they both reside.